BOOM! Studios and The Jim Henson Company announce their fourth Storyteller collaboration with JIM HENSON’S THE STORYTELLER: FAIRIES, a four-issue limited series debuting in December featuring stand-alone stories by Matt Smith (Lake of Fire, Barbarian Lord), Benjamin Schipper (Cap’n Rex & His Clever Crew), Tyler Jenkins (Grass Kings), and Celia Lowenthal (The Saga of Gisli the Outlaw). From Jim Henson’s classic television show to the comic series, the Storyteller and his faithful dog have delighted and thrilled fans with myths, legends, and stories from all over the world. JIM HENSON’S THE STORYTELLER: FAIRIES is the latestStoryteller series from BOOM! Studios, following Witches (2014), Dragons (2015), and Giants (2016). 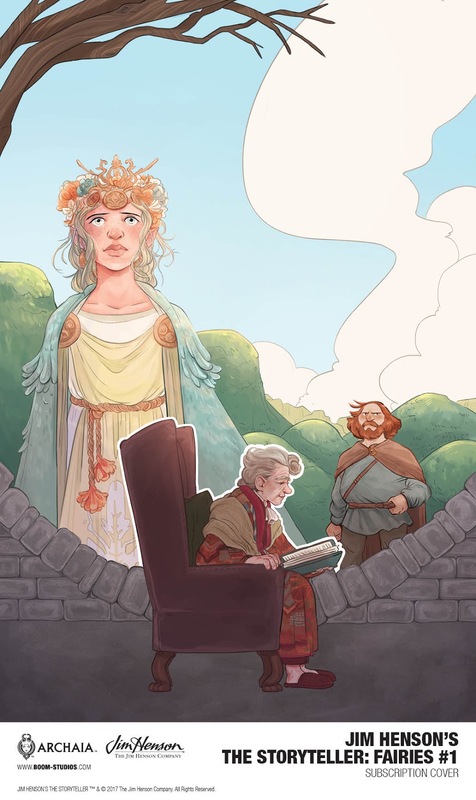 JIM HENSON’S THE STORYTELLER: FAIRIES is the latest release from BOOM! Studios’ critically acclaimed Archaia imprint, home to popular original series such asMouse Guard by David Petersen; Rust by Royden Lepp; Bolivar by Sean Rubin;Jane by Aline Brosh McKenna and Ramón Pérez; and licensed books like Jim Henson’s The Power of the Dark Crystal and Jim Henson’s Labyrinth. 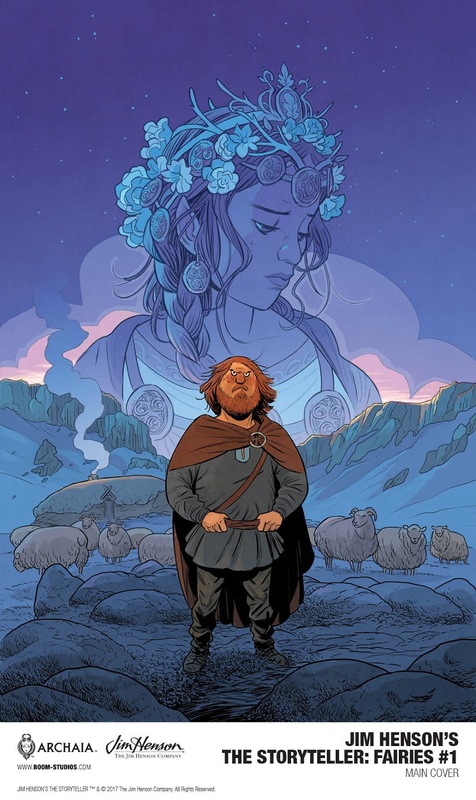 In JIM HENSON’S THE STORYTELLER: FAIRIES #1, Matt Smith reimagines “The Elf Queen and the Shepherd,” a tale of elven fairies in Iceland. When a Fairy Princess is cursed to the human realm and cursed to bring death with her, Grettir the Strong must discover the source of the trouble and break her curse. Future issues will focus on fairies from Hawaiian and Danish folklore. JIM HENSON’S THE STORYTELLER: FAIRIES #1 features covers by Matt Smith and Sas Milledge (Mimon). Print copies will be available for sale at local comic book shops (use comicshoplocator.com to find the nearest one) or through the BOOM! Studios webstore. Digital copies can be purchased from content providers including comiXology, iBooks, Google Play, and the BOOM! Studios app. For news on JIM HENSON’S THE STORYTELLER: FAIRIES and more from BOOM! Studios, stay tuned to www.boom-studios.com and follow @boomstudios on Twitter.